We’re pleased to have our first ever guest blog here on CZ and it’s been done by our awesome Danish AAA alliance-mate Dsan. You can catch him on twitter at @dsan_dk or over at his blog at http://www.eveblog.dsan.dk/ (although this seems to be down almost permanently, hence the guest blog). If you fancy writing something for CZ, give me a shout at xander@crossingzebras.com. We can offer you nothing except some exposure, a rebuttal of some sort and a massive Scottish high five! For you, the reader, i’ll try and detail it; It all starts when Fuel Blocks was introduced in January. Before January 2012, A Player Owned Structure (Or POS) consumed a variety of fuel components, and the amount depended on size and power/cpu consumption on the POS. So you could save a lot of fuel by having offline modules on your POS and online them as need be, like guns and hardners in peace times. With the introduction of fuel blocks, the mechanic of POS towers was changed, they now run 100% fuel demand all the time, and swallow X amount of blocks each hour, no matter how much/many modules is on the tower. Already here, is the demand for Ice products higher than pre-January2012. Next, in order to produce the fuel blocks, you need a blueprint and some minerals and access to a manufacturing line. Another expense, in both time and isk for rent and use of a station or POS for the manufacturing. Add this to the fuel block cost. One point I want to make, and I’ve read this from others aswell, is that the “natural” price of Fuel Blocks has gone up since launch, because a lot of blocks has been made on cheap minerals and products from reserves. But slowly rising, based on demand and supply of the of the products. Starting May, came the Hulkageddon (For the 5th time ?). This time backed and sponsored by Goonswarm federation and extended to last the full month of May. Hulkageddon is an ‘event’, organised and made by players for players. It basically creates an orportunity for everyone to kill industrials/Miners in both low-sec and high-sec, and be rewarded for it. For every 10 hulks, the pilot is rewarded a 100 million isk and many other prices. This event is HUGELY popular, and the general advice for highsec dwellers is, to not undock or at least mine during the event. This of course has an influence on the amount of minerals supplied to the market, and directly to manufacturers everywhere. Effecting everything from ammunition to Titans and Carriers, unless you have a “private” source of minerals. Theres a double effect to it though, and this is where it gets fascinating. 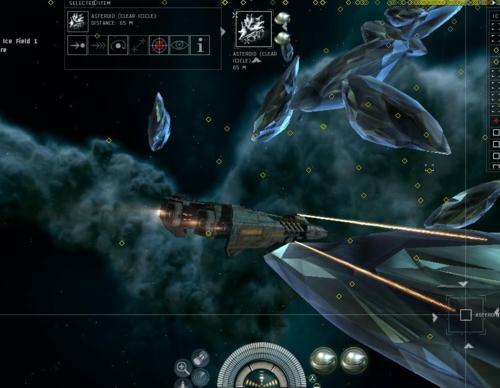 Losing mining ships, you need to replace them with new mining ships. And those mining ships are made from the same materials you mine. So the more miners killed, the higher the price of minerals in general, but even higher price for the next minerals to earn back the isk the second or third mining ship cost you. And If you use a Hulk or Mackinaw, you are even dependant on T2 components. T2 Products are made from various Moon mining minerals/resources, that are mined in low sec and 0.0 space. From moons, with POS Towers (Tie Fuel block price into this..). 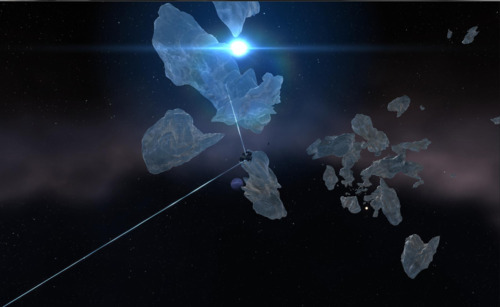 Theres different rarities of these minerals and they are scattered all over eve, the raw resource needs reacting to make it into another resource that can be made into the T2 components.Given the price and flow of raw moon material and therefore components is steady, the cost of T2 ships and items is only affected by the basic ore mineral prices. But right now, it isn’t. The most important raw moon material, is Technetium. An R32 rarity, making it in the second rarest class of moons. but only existing in the ‘northern’ part of the map. Technetium is needed for all T2 items and ships. And the political status of eve is that theres 3 major holders of nearly all the technetium moons, and together they have agreed to not fight over these moons, rather band together and defend each others. This is called the OTEC Pact. OTEC is a story on it’s own, I recommend reading kugu, talking to someone in PL or Goonswarm or listening to a podcast for more information. The Tech Cartel has since the forming, slowly and steadily raised the price of tech. This has made a lot of people who have had stock piles of old Tech sell out, taking advantage of the high sell price. And now/soon the stocks will be empty or so empty they themselves will be expensive. and Expensive tech, makes T2 ships (Like the Hulk) even more expensive. So now the Mackinaw is extra expensive due to so many factors, that the pilot has to sell his Ice products even more expensive in Jita or on the local market. And that Ice product might go to the same Tech pos, and increase the cost of the tech mined. And so, as long as ice mining is being kept down, the cost of ice products will keep skyrocketing, at least for now. As i’m writing this, it’s one week past ‘Hulkageddon 5’ and prices are still rising, And the way I see it, theres a long list of reasons why the prices has gone up and will keep going up. And it is all the more interesting to theorise how all these reasons tie into each other and influence each other. This is the sandbox of eve, and you aren’t alone in the sand, theres players building their own castles and stomping on yours. I have to admit, I think mining is fixed. I am seeing a lot of miners getting interested in mining, both in highsec, but also a lot of highsec miners seeking low-sec and 0.0 mining areas, because the safety to profit ratio may actually be better in 0.0 right now. I myself is looking at where I can get easy safe access to some ice with my industrial alts. As things, especially as T2 modules and ships, is getting more expensive and at the same time is something I go through fairly rapidly – the extra isk on the pocket would be nice. And living in 0.0 and using carriers and jump freighters regularly, jump fuel becomes a major expense really. My advice, for those interested in making some cool isk, on the now very interesting industrial side of eve. Is to band together, get into a big corp or an alliance. Mine together in groups, with bonuses and dedicated miners. In safe areas, and with perfect refining. 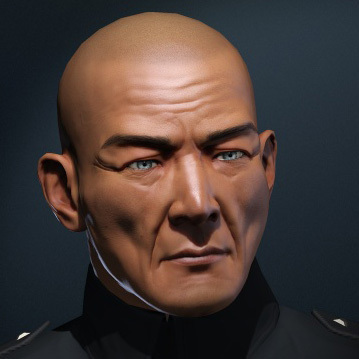 It’ll make mining more fun and exciting for you, and if you are in highsec, you will be better defended from war declarations and as a corp better capable of hiring support against wardeccing corps. Maybe join Factional Warfare, take advantage of their protection in their low-sec systems. I’m not sure how industrial life in factional warfare is or how much there is, but maybe it’s worth investigating. To some veterans, this may sound like the reason why you started playing eve originally. It may sound like a different game than the one you know. Too good to be eve. But reality is, that changes and events in eve the past half year has changed eve into this. A lot of mining bots has been banned, they changed the loot drop on drones (The NPC faction living in 0.0 – It now has bounties like other NPCs). PVPers and Mission runners, take care of your ship, it’s getting more and more expensive to replace at the moment. Miners, get the most out of it while it lasts, it’s a golden age for miners. 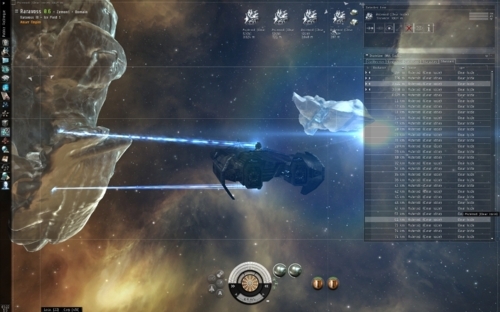 Eve-Online needs miners and industrialists.